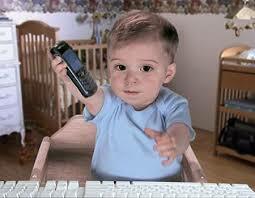 Remember the E*Trade baby? In case you don’t, it was a spectacularly effective ad campaign hyperbolizing how easy and fast online trading is that “even a baby could do it.” That campaign aired before people DVR’ed through commercials, and before supercomputers came into the financial mainstream. Today’s “day-trading” is often through robot stock trading where computers automatically “robo-trade” stock positions based on market movements. Whether it’s a baby on a smartphone, or a robo-advisor running an algorithm in a server farm, the concepts are the same – instant liquidity. Advocates tout the flexibility of liquidity, which on the surface makes sense – react when the market moves. But the ugly truth that the E*Trade campaign kept hidden is that day trading is short sighted and impulsive, and potentially irrational. Especially for those seeking a higher rate of return over a longer time horizon. “Liquidity” simply refers to how easy assets can be bought and sold. The most liquid assets are freely traded in high volume with little to no fluctuation in price caused by such trading. Cash is the most liquid asset, followed by government bonds and large public company stocks – each falling under the “traditional investment” umbrella. On the other end of the spectrum are “alternative investments,” particularly hard assets such as real estate, because their trading volume and frequency is considerably less. Why is liquidity good? Why is liquidity bad? The benefit of liquid assets is fairly obvious – you can sell when you want with reasonable certainty on the sale price. Liquid assets work well for investors with a shorter investment horizon who value the flexibility to sell at a moment’s notice. The most cited negative to liquid assets is the higher price and corresponding lower return they generally provide, commonly referred to as the “liquidity premium”. Think of it as a surcharge for optionality and flexibility. But there’s another negative that liquidity proponents often sweep under the rug – since most liquid assets are sold in the public domain, negative headlines may send liquid asset prices plummeting even if the news has little impact on the stock or bond issuer. So is the Liquidity Premium Worth It? If your answers to the above are low, low, and short term – the liquidity premium is worth it and U.S. treasury bonds are calling your name. But if you are like most of us eyeing higher returns and looking to save for retirement, the liquidity premium may be too steep of a price to pay. Less liquid assets, particularly commercial real estate through online real estate platforms such as stREITwise, can provide higher and more sustained returns. So for all you E*Trade babies out there crying over liquidity premiums and subpar returns – now may be the time to start thinking long term.